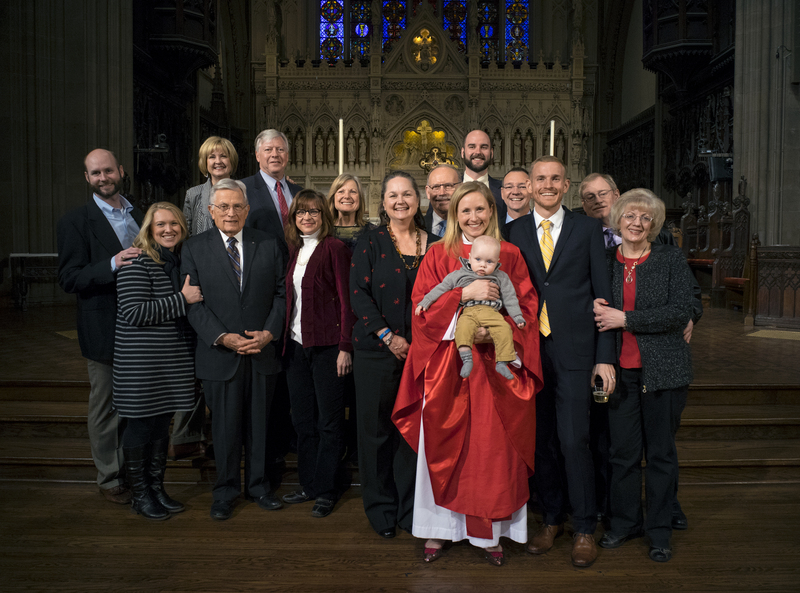 Preached at Trinity Wall Street the Fourth Sunday of Advent, the Annunciation seemed like an appropriate time to share with the parish that Jay and I are expecting our first child. The night before I preached, two police officers in Brooklyn were murdered–I could not ignore it. Greetings, favored ones! The Lord is with you. Amen. There’s a term church-types like to throw around. “Hermeneutics.” Perhaps you’ve heard it? It’s basically a fancy word for a “lens” or “perspective,” and it acknowledges the idea that we all bring something to the text when we read scripture. All of us have been shaped by life experiences that in turn shape our reading and hearing of scripture. And what a gift that is! Indeed, part of the reason scripture is living and active is because we come to it as living and active human beings who grow and change and learn constantly. I find this helpful because as a preacher it is inevitable that you will preach on the same text many times in your life, but you never want to preach the same sermon. Even if the last sermon on said text was a hum dinger—you’re always looking for new or deeper insights to take in and then share. Case in point—I preached this text two years ago. I was visiting my childhood parish in Lexington, Virginia, and I was so excited to be preaching on a text that was already so meaningful to me. I mean, I’ve had a framed print of Fra Angelico’s Annunciation hanging on my wall since college, always hoping to be inspired by Mary’s courageous statement: Let it be. This was my jam! And other than the fact that I had no voice and had to whisper into the microphone, that sermon was a great one. In the two years since I preached this text, I have graduated from seminary, been ordained a deacon, started my first ordained call here at Trinity church, and discovered that Jay and I are due to have our first child this summer. These are the kinds of life events that can adjust your lens slightly this way or that, opening up the scriptures in new ways that keep our reading of them living and active. I can tell you it has made for an interesting Advent. But here’s the thing. As much as I marvel at the miracle and weirdness of having a human being growing inside me—and how much more miraculous and weird for Mary to experience the same with the very Son of God… and sure I smile whenever we sing “My soul magnifies the Lord,” thinking of Mary’s magnified belly while touching my own slightly magnified version… at the end of the day, that Mary became as we call her in Greek theotokos, the container of God, really says more about God than about Mary. What makes Mary remarkable is her response. But lets get back to what makes Mary remarkable—because she’s today’s example of how to live as faithful disciples of Christ. First, note that Mary’s gut response upon seeing Gabriel is to be perplexed. She’s wondering to herself, ‘What could this guy possibly want from me?’ Certainty is not a requirement of faithfulness. Mary teaches us that one can be perplexed and pondering and still be faithful to God’s call. Notice she doesn’t say, “Oh, now I get it—that makes perfect sense!” My guess is she’s still perplexed, pondering, and wrestling. But Mary doesn’t have to have all the answers to know that God is requiring something of her in this moment and in her lifetime. I say “requiring” because Gabriel doesn’t proclaim his message in the form of a question. He does not come to Mary saying, “God would like you to bear God’s son—the savior of the world. Are you cool with that?” Rather Gabriel speaks the truth of what is to come in a more definitive manner. Mary acknowledges this requirement when she says, “Here am I, the servant of the Lord.” And “servant” is really a soft translation of the Greek word doulos—Mary is calling herself a slave to God—which reinforces the fact that she has no choice in the matter. And yet—and this is what I LOVE about Mary—the young, lowly, unwed, perplexed servant or slave exercises courage and agency even in her obedience by saying, “Let it be with me according to your word.” Mary responds—and she responds as one who believes. It is Mary’s response and faithfulness that is praised again and again in Luke’s gospel. The scripture immediately following today’s passage tells us of Mary’s journey to see her cousin Elizabeth, also pregnant despite her old age. As soon as Elizabeth sets eyes on Mary, she begins praising her: “Blessed are you among women—blessed is the fruit of your womb—blessed is she who believed that there would be a fulfillment of what was spoken to her by the Lord.” Blessed is she who believed. And how does Mary respond to Elizbeth’s blessing? By praising God with the very words we sang earlier, “My soul proclaims the greatness of the Lord, my spirit rejoices in God my savior!” She receives the blessing by pointing to the one she is faithful to. Later in Luke’s gospel, Jesus is a grown man preaching and teaching when his brothers and Mary try to reach him through the crowds. When Jesus is told they are waiting outside, he responds, “My mother and my brothers are those who hear the word of God and do it.” While some take this as a harsh response—it’s true! Mary is often referred to as the ideal disciple precisely because she heard God’s message and responded in faithful obedience. And again when Jesus is teaching towards the end of Luke’s gospel, a woman in the crowd calls out to him and says, “Blessed is the womb that bore you and the breasts that nursed you!” And Jesus corrects her: “Blessed rather are those who hear the word of God and obey it!” Jesus does not deny Mary’s blessedness, but clarifies the nature of it. That God lived in a womb and nursed as a babe tells us something about God and God’s longing to be with us. That Mary believed in the face of perplexing truths and responded in faithful willingness, “Here am I—let it be,” tells us something about what is means to be blessed. Meister Eckhart, a 13th Century German mystic once said, “We are all called to be mothers of God—for God is always waiting to be born.” I love that image. It’s one I can relate to. We are all called to be mothers of God—for God is always waiting to be born. But you don’t have to have a womb to be a mother of God. And you don’t even have to be certain of every aspect of God’s nature. You can be young or old, rich or poor, male or female, perplexed, pondering, wrestling—and yet hear God’s call on your life (crazy as it may seem at the time) and respond in faith and obedience: Here am I—let it be. That’s what’s remarkable about Mary. And it’s in that kind of response that each of us can be remarkable too. Here am I. Let it be. My soul magnifies the Lord. My spirit rejoices in God my savior. Amen. 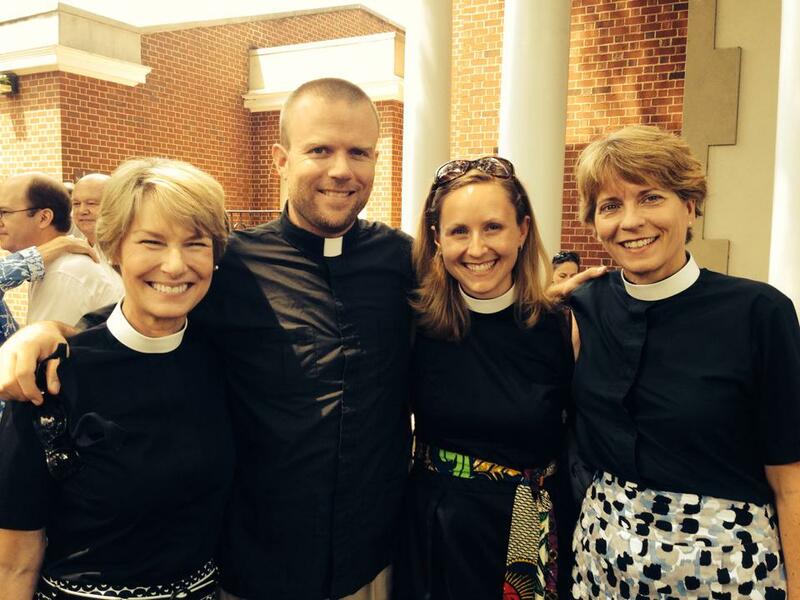 In what ways does this liturgy make the Gospel come alive? How important to our faith is Jesus’ command to love and serve one another? Have you allowed someone to wash your feet? How did it make you feel? Have you washed the feet of another? How did that make you feel? What does Lee mean by, “Those who have been feed at the table of the Lord must become food to others”? 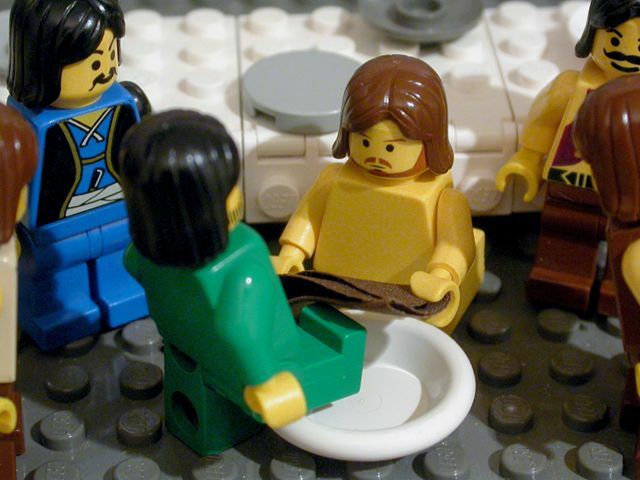 How do you feel about foot washing after hearing this story? Does this story challenge or inspire you? If we are united to Christ in our baptism, and we remember and experience this unification in the Eucharist, how do we express that unification in our service to others? Jeffrey D. Lee, Opening the Prayer Book (Cambridge, MA: Cowley Publications, 1999), 88. William Wan, “Gaining a Dose of Humility, One Washed Foot at a Time,” The Washington Post, April 2, 2006, accessed December 8, 2013, http://www.washingtonpost.com/wp-dyn/content/article/2006/04/01/AR2006040100617_pf.html. What do you think and feel upon hearing this story? Have you ever thought of baptism as initiation? Initiation into what? How does it compare to other initiations you have experienced? Euphemius and the other candidates never even see a Eucharist celebrated before their baptism—what does this mystery create? What are the symbols used in the story—what do they symbolize? 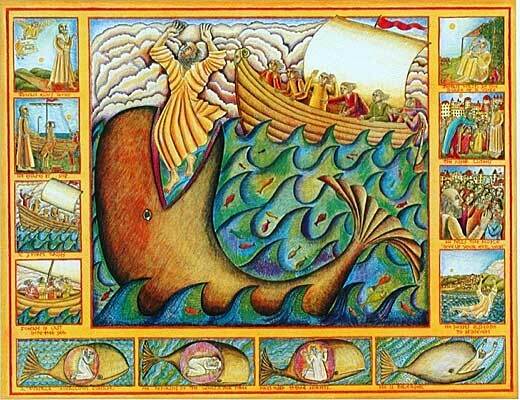 This story describes the tradition that shapes our liturgy. 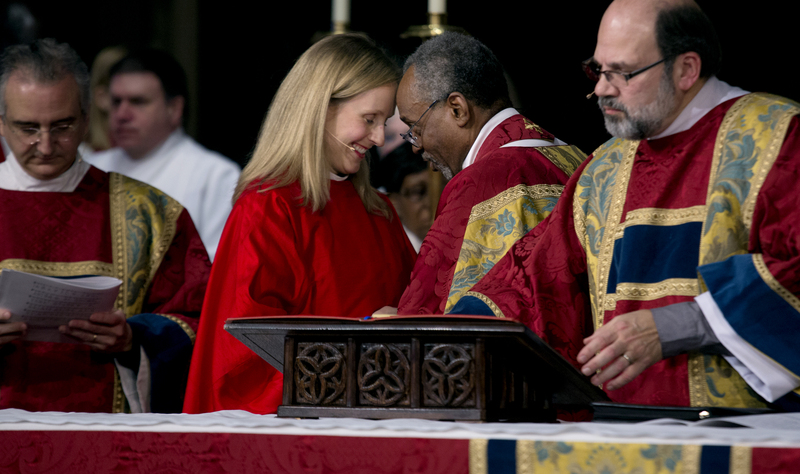 But the tradition and liturgy (then and now) are based on certain beliefs we hold to be central. How does our baptism illustrate our beliefs? Does your baptism shape your identity? How so? 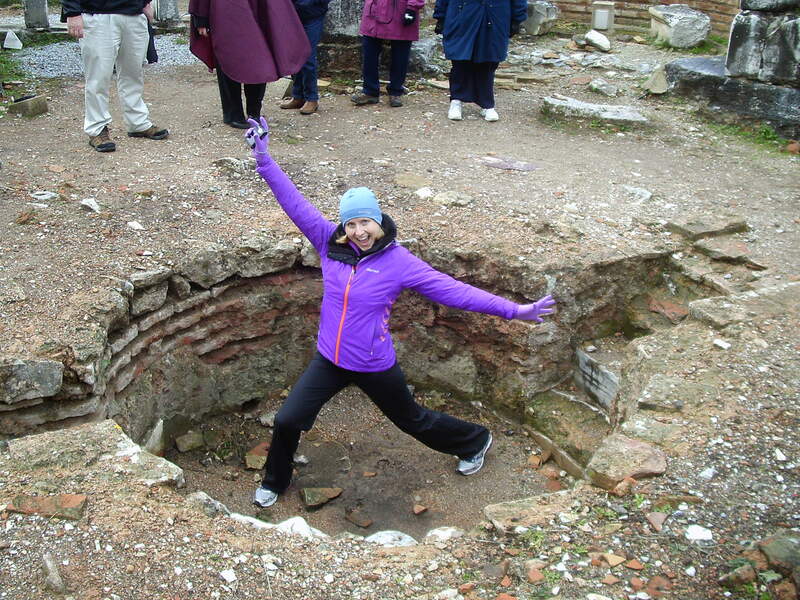 This is me celebrating the excitement of baptism in an early church baptismal font outside Ephesus, Turkey. What about this “Triduum” thing? What traditions did you practice in your home or church growing up leading up to Easter? Who passed them onto you, and what did they mean to you? What traditions do you continue to practice today—why? How might celebrating the Triduum shape us? Gabe Huck, The Three Days: Parish Prayer in the Paschal Triduum (Chicago: Liturgy Training Pubns, 1981), 107-9. Huck, The Three Days: Parish Prayer in the Paschal Triduum, 1. Huck, The Three Days: Parish Prayer in the Paschal Triduum, 6.